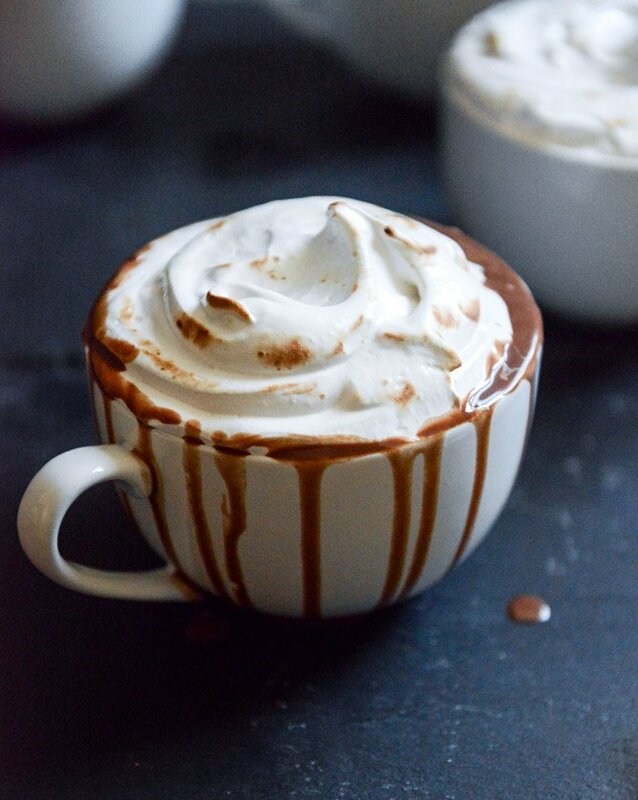 Toasted Marshmallow Cream Hot Chocolate. Today, a few of my friends are throwing a little online partay for one of my veryveryvery closest friends, Bev. Bev is about to welcome twins into her life and this post can’t even begin to scrape the surface on my excitement for her. Bev and I met for the first time at an airport. We were headed to the same destination and ended up with a layover at the same place… and I can’t even tell you how long that layover was because we.never.shut.up. Things only went downhill (uphill?) from there. I probably don’t deserve a quiet flight until at least the year 2037 for that experience alone. It was on that flight though, included in one of our many way-too-loud and probably quite inappropriate conversations that I asked Bev if she wanted kids. You’re probably not supposed to ask people questions like that within hours of meeting them, but I don’t really know how to make friends. And it was on that flight that Bev shared her story with me and said yes, they really wanted a family. That was just the beginning of our friendship. I could tell you that it was because we bonded over the fact that 253 other people were probably hoping that we’d be added to the no-fly list and for their rest of their lives, will hear our annoying voices in their nightmares and envision it to be their own personal hell, but it really isn’t that. It was everything else. A few months after that, Bev called me late one night after I had texted her that I was trying to find my emotions at the bottom of a cookie butter jar. I don’t even remember what I was freaking out about, but she talked me down off the ledge. One day, after I shared drinks with my invisible internet friends and talked about my freakish obsession with Lisa Loeb, she sent me a whole video of her playing Stay on her guitar and singing every lyric. Singing it WELL! Good lord, you have no idea how badly I’d like to include that clip. Exactly one year ago today, I forced her to come meet me in New York City so I wouldn’t have to make life decisions on my own and because I’m a giant baby but mostly because I love her and knew that for 24 hours, we could have the time of our lives. We did, in the means of walking ten or so miles because we are freaks and eating pizza at midnight. She also saved me from crossing the street without looking about six times, so she has that motherly instinct. I was good practice. One year ago today, we walked in the cold and talked for hours straight about how the coming year was THEE year. How the months to follow would give her everything she had wanted for so long or how they might… not. I am not kidding when I say that I have NEVER in my life met a more positive, optimistic person. There are very few people I consult in my life before making big decisions and she is one of them. On everything. I’m not sure that I can even express my excitement, love and absolute overwhelming joy that exactly one year later, here we are. Talking about her babies and the wonderful reality that is coming next. And she’s not only about to have one baby, she’s going to have two! I don’t really know anything about kids (or math) but I’m pretty sure that’s double the love and double the work. It sounds like fun and I should probably move there. In our circle of trust here, I’ll tell you that this hot chocolate might not be Bev’s first beverage of choice. It’s one of our very few differences (well that, and the fact that I’ll probably clothe my future children in neon and glitter from head to toe while hers will be in stripes and neutrals) but I’m convinced I could get her to take a few sips. This is a SUPER RICH (hear that? very very very rich.) 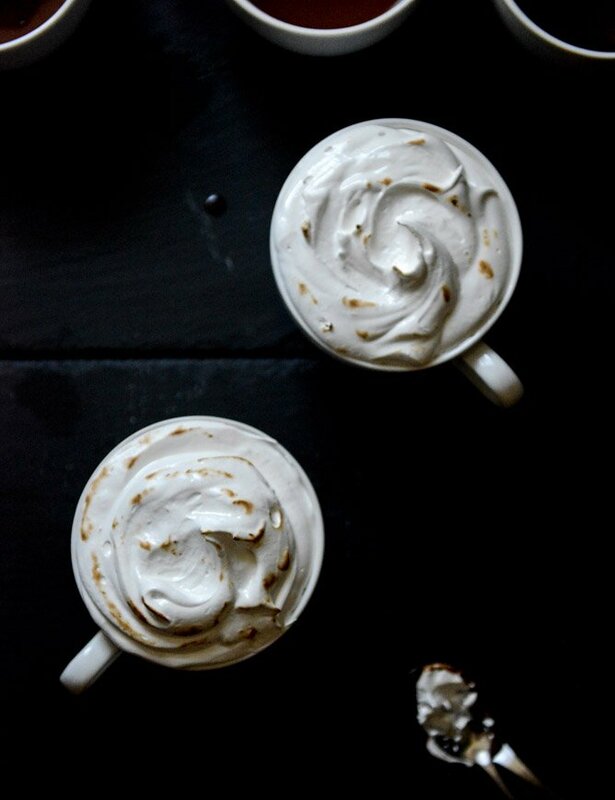 hot chocolate – more like sipping chocolate – that it truly taken over the top with a hefty dollop of homemade marshmallow frosting. I advise you to not be obnoxious like me and serve it in gigantic mugs because you might feel like you’re going to die afterwards. Totally worth it though. Totally worth it. 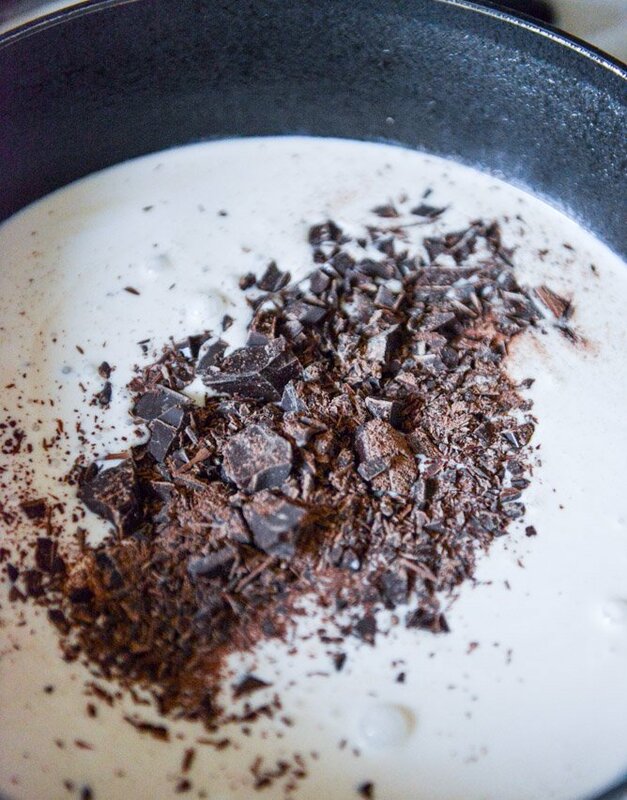 Combine the milks, cream, chocolate, vanilla extract, salt and nutmeg together in a large saucepan and stir constantly until the chocolate is melted and the mixture is heated through. 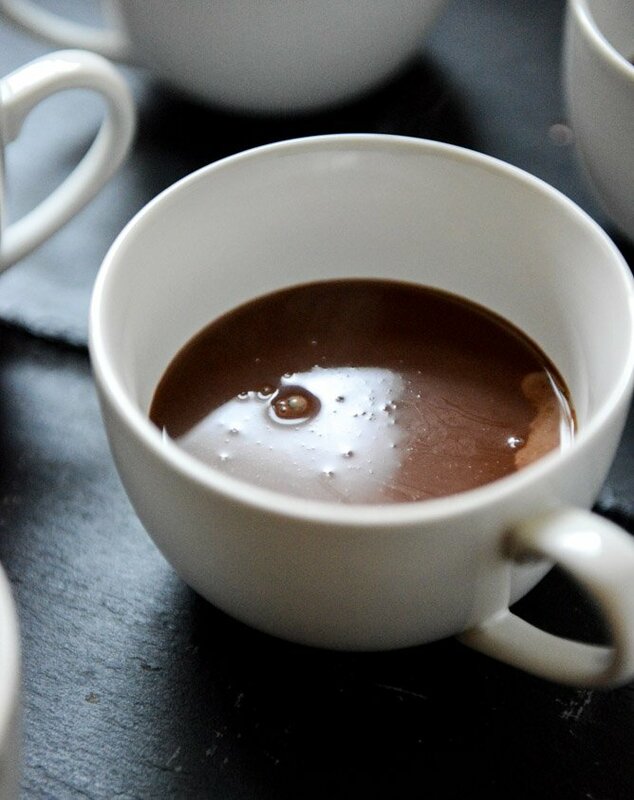 Pour the hot chocolate into mugs and top with a tablespoon or two of the marshmallow cream. 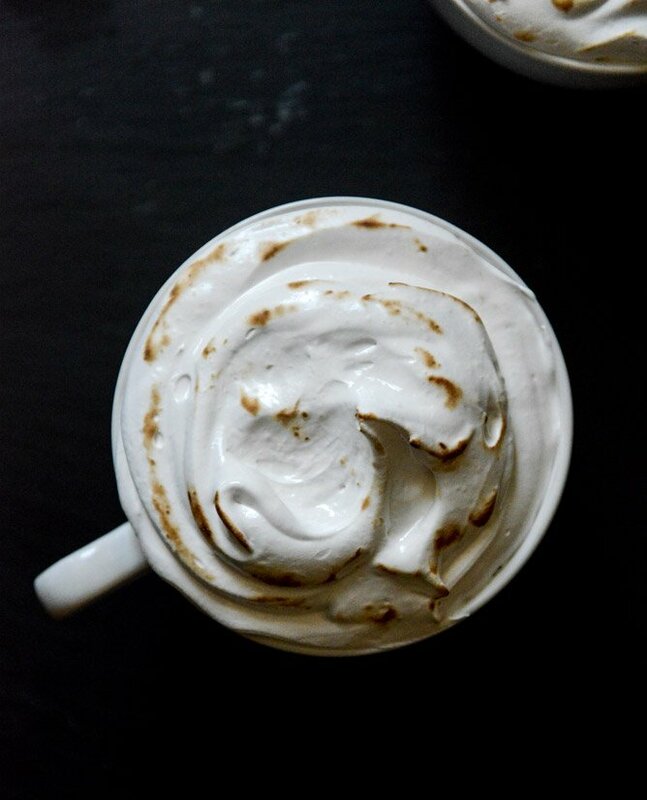 The marshmallow is super thick and rich, so keep that in mind when it comes to adding your desired amount. 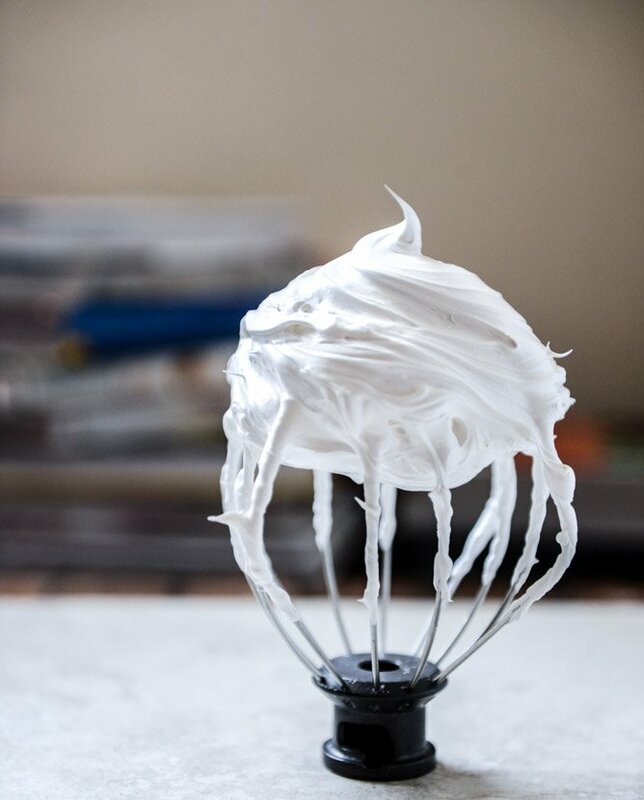 Torch the frosting on top if desired. 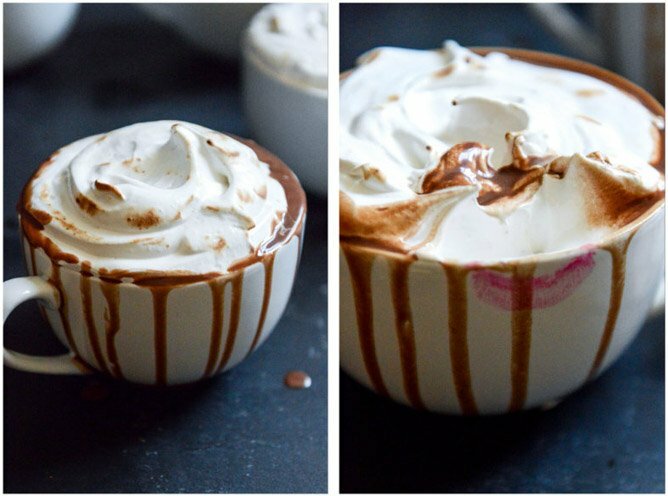 I suggest serving this with a spoon since the marshmallow may get all over your face! DIY Glittery Winter White Mason Jars. I am making this as I type this!!! 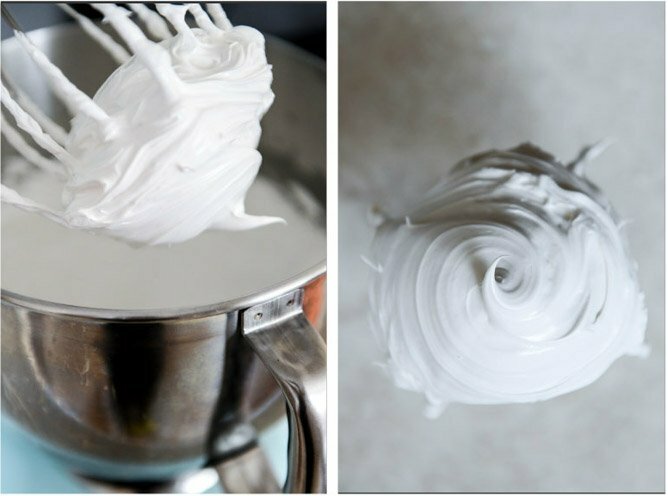 Already have my marshmallow creamy heave make! Thank you so much for this recipe. 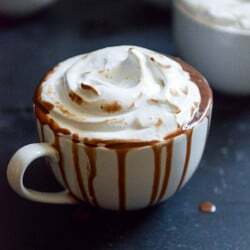 I am making this for my family on this rainy California day. Pingback: Heather Christo - Eat Well, Live Free. Deliciously Allergy Free Recipes.